Demi Lovato is a strong, no-nonsense woman when it comes to her work and maintaining her drug and alcohol-free lifestyle after going to rehab for addiction and eating disorders at an early age. After the tragic death of Philip Seymour Hoffman, Demi Lovato voiced her support on Twitter regarding addiction awareness and shed light on something that most people don't know is actually a disease. Now, Lovato has taken her actions one step further against having a clean and positive lifestyle at all times. In an interview with Extra, Demi Lovato said that her upcoming Neon Lights tour, which starts on Feb. 9 in Vancouver, will be completely drug and alcohol-free. Everyone on the team is required to stay clean and focused, Lovato says. It’s not about trying to party. It’s about putting on the best show and everyone needs to be in tip top shape. That’s how it should be for every tour. Lovato has been staunch and vocal in the past about keeping good people around her who share the same ideals. Since she's a former addict, her perspective on Hoffman's death may have reinforced the importance of her team remaining clean on tour. 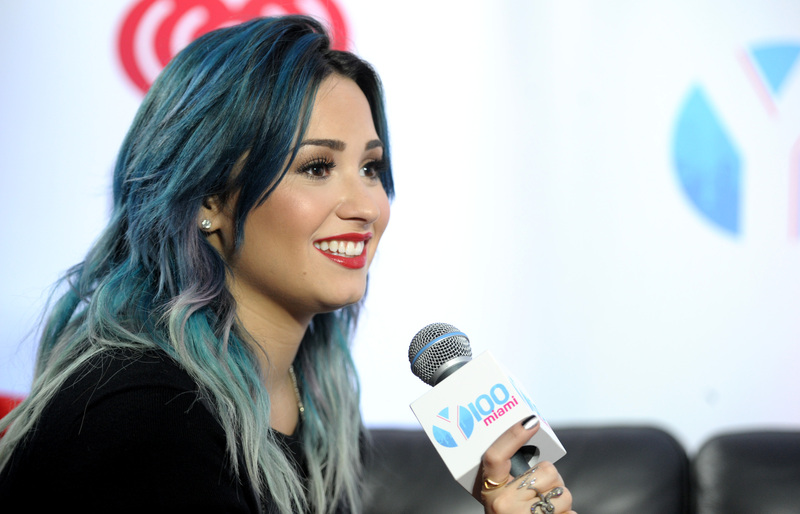 People don’t take [addiction] as seriously as it is, Lovato says. It’s a mental illness and it’s a disease... there’s no pill that’s gonna change it. People need to have compassion for it. Rather than being a former addict, looking at it as I had a choice, because at some point in my disease I didn’t. I physically and emotionally couldn’t live without it. That was my medicine to my pain. We're glad that Lovato is using her past experience to be a fresh and inspiring advocate for addiction awareness, and we know that her fans will be thrilled with the show — after all, she's been sporting pink hair for awhile now, and that's got to mean something fun is coming up.